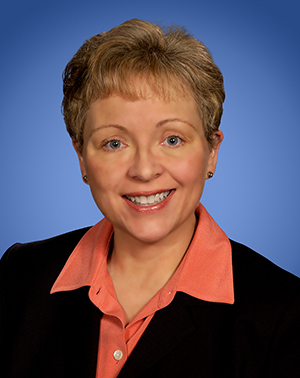 Roberta L. Rowe is a Partner in Lozano Smith's Fresno office. She focuses on student, and labor and employment matters for school districts and community college districts in her daily practice of law. Ms. Rowe has expertise in certificated and classified employee matters, termination and layoff hearings, collective bargaining, grievance arbitrations and unfair labor practice charges. She also has in-depth knowledge of the Brown Act, conflicts of interest and policy development. In addition, she has been involved with investigations on behalf of school districts and municipalities related to harassment and discrimination complaints. Before becoming an attorney, Ms. Rowe worked for eighteen years as a Vocational Rehabilitation Consultant with workers' compensation, social security and marital dissolution cases. Ms. Rowe is a sought-after speaker and has made numerous presentations to school districts, county offices of education and statewide organizations including California School Boards Association (CSBA), Association of California School Administrators (ACSA), California Association of School Business Officials (CASBO), California Association of Supervisors of Child Welfare and Attendance (CASCWA) and California Small School Districts Association (SSDA). Topics include sexual harassment prevention, student discipline, bullying and gender identity/sexual orientation, employee and student free speech, leaves, Brown Act, classified and certificated discipline, and certificated and classified layoffs. Ms. Rowe has taught for California State University, Fresno, Kremen School of Education and Human Development Administrative Services Credential Program. She has conducted seminars in Advanced Techniques of Personnel and Legal Aspects of Education. Ms. Rowe received her Juris Doctor degree from San Joaquin College of Law in 1995. While attending law school, she won first place at the Hopper Moot Court Competition and was a quarter finalist at the Evans Constitutional Law Moot Court Competition at the University of Wisconsin in Madison. She also served on the San Joaquin College of Law Agricultural Law Review. Ms. Rowe earned an M.A. in Rehabilitation Counseling from California State University, Fresno, and a B.S. in Psychology from Oregon State University, Corvallis. Does Anyone Really Expect Privacy?